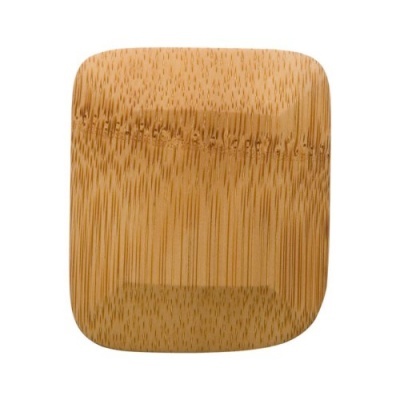 Certified Organic Bamboo Pot Scraper. A great way to reduce your plastic items within your household. Environmentally friendly and zero waste alternative to commercial scrapers. Great for pots, but can be used to scrape windshields, remove dried candle wax, rounding up loose dirt, scraping left over pastry. The truth is, you're limited only by your imagination. Be sure to get several. Or a baker's dozen. Hand-crafted from Certified organic bamboo with a different shape in each corner to get into a variety of spots. Fits perfectly in your hand. A perfect friend for your unsponge. Can be washed in dishwasher, handwash to prolong life. Can last for years and composted at the end of it's life. Great matched up with an unsponge. Does exactly what it says on the tin. I've even used it to take plaster off of my windows without scratching the glass.